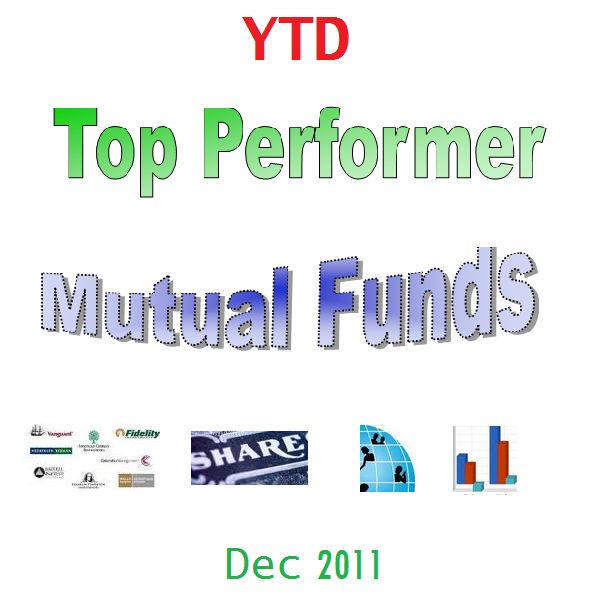 The year 2011 has been one of the most challenging years for traders and investors to invest in mutual funds. 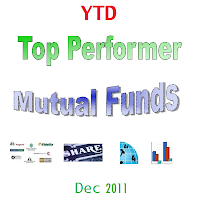 The following article will look into the year to date top performer of each category of Mutual Funds. The year to date top performers include PIMCO Real Estate Real Return Strategy A, Morgan Stanley Institutional Select Global Infrastructure Portfolio I, PIMCO Extended Duration Institutional, and more. Note: This list doesn’t include any leveraged funds except on alternative funds category. The US Domestic Stock Funds have performed better than its counterpart, international stock funds. One of the top performers is PIMCO Real Estate Real Return Strategy A (PETAX). This PIMCO fund has returned 21.26% for 2011 YTD. This PETAX fund invests real estate linked derivative instrument backed by inflation indexed securities. This Real Estate sector equity fund is managed by Mihir Worah. Worah has managed this fund since 2007 and is the managing director in the Newport Beach office. This US stock fund is rated 3 stars by Morningstar. For the past 12 months, it has paid a dividend yield of 13.31%. It currently has total net assets of $1.96 billion. This top performer fund has returned 44.52% over the past 3 year and 0.80% over the past 5 year. It also has a sales load of 5.50% and an expense ratio of 1.19%. The other two top performer funds are FBR Gas Utility Index Investor (GASFX) and PIMCO StocksPLUS Long Duration Institutional (PSLDX). The GASFX fund focuses its investment in utilities sector stocks. This FBR fund is also rated 5 stars rating by Morningstar. The fund’s manager is Winsor Aylesworth. It currently has a dividend yield of 2.37% and an expense ratio of 0.76%. The top 5 stock holdings are National Grid PLC ADR, Enbridge Inc, Spectra Energy Corp, El Paso Corporation, and TransCanada Corp. The top 3 sectors are Utilities (61.72%), Energy (36.69%), and Basic Materials (1.1%). As part of 5 stars rated fund, the PIMCO StocksPLUS Long Duration Institutional fund invests in S&P 500 index derivatives backed by a diversified portfolio of long term fixed income instrument. The fund is managed by Stephen Rodosky. It also pays a dividend of 7.05%. The annual expense ratio is 0.59%. The 2011 YTD returned of this fund is 17.43%. This Morgan Stanley Institutional Select Global Infrastructure Portfolio I (MTIIX) fund has YTD return of 11.62%. Compare to above US stock fund, this return is relatively small. This MTIIX fund invests in companies around the world. Theodore Bigman is the fund’s manager of this world stock fund. The expense ratio of this MTIIX fund is 1.14%. There is no 12b1 fee and no sales load. As of October 2011, the top 5 stocks in its holdings are National Grid PLC, TransCanada Corporation, American Tower Corp A, Beijing Enterprises Holdings Ltd, and Enbridge Inc. The top 5 sectors include Utilities (37.96%), Energy (28.37%), Industrials (17.99%), Communication Services (12.13%), and Consumer Cyclical (3.3%). Another top performer international equity fund is DWS RREEF Global Infrastructure A (TOLLX). This TOLLX fund has been rated with 5 star ratings by Morningstar. This world stock fund invests in infrastructure related companies in the world (inside US and outside US). The fund’s manager is Manoj H Patel. As the YTD top performer bond fund, this PIMCO Extended Duration Institutional fund’s objective is to seek maximum total return. This PIMCO bond fund invests most of its assets in fixed income instruments or bonds including forwards or derivatives, options, futures contract and swap agreements. The fund’s manager is Stephen Rodosky. This fixed income mutual fund only has an annual expense ratio of 0.50%. This PEDIX fund has returned 13.43% over the past 3 year, and 13.65% over the past 5 year. The best 1 year total return is occurred in 2008 with 49.19%. This fund is offered by 30 brokerages such as Scottrade, TD Ameritrade, Schwab, and more. Alternative to this top performer include WHOSX fund and VEDTX fund. The YTD top performer for muni bond fund is Dupree Taxable Municipal Bond (DUTMX). This DUTMX fund invests in investment grade taxable municipal bonds with maturity > 10 years. This newly introduced fund is managed by Vincent Harrison. The yield is 5.05%. It has YTD return of 18.9%. The expense ratio fee is 0.49%. Investor can invest with $100 minimum initial investment. The other top performer muni bond funds are Eaton Vance Tax-Advantaged Bond Strategy Long Term A and Oppenheimer AMT-Free Municipals A (OPTAX). The Eaton Vance Tax-Advantaged Bond Strategy Long Term (EALTX) fund is a small asset fund ($25 million), and invests long duration municipal bond. The OPTAX fund invests in high yield municipal bonds. This Oppenheimer bond fund is rated 1 star rating by Morningstar. As part of retirement income fund, the investment objective of this PIMCO Real Income 2029 A fund is to seek consistent real (inflation-adjusted) distribution. This PIMCO balanced fund invests mainly in inflation-indexed bonds issued by the U.S. Treasury. The fund has been managed by Rahul M. Seksaria. This hybrid fund was introduced to public in October 2009. The dividend yield of this fund is 5.13%. The ProFunds UltraShort Emerging Markets fund seeks to provide results which correspond to 2x the inverse of the daily performance of the Bank of New York Emerging Markets 50 ADR index. This bear market fund is part of leveraged mutual fund. The annual expense ratio is 1.73%. There is no front end sales load. The lead manager is Todd B Johnson.